Tony Dow sent a message this morning informing us that his weather station at south Franklin is back up and running. This is great news: Tony's site has been sorely missed over the last year. 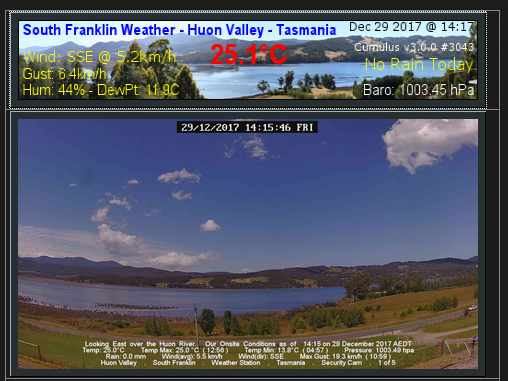 The LBT homepage has been updated to show the live weather information and live webcam image that Tony supplies. Click on either of these and you get all the weather details you could possibly want. See the screen shot below.